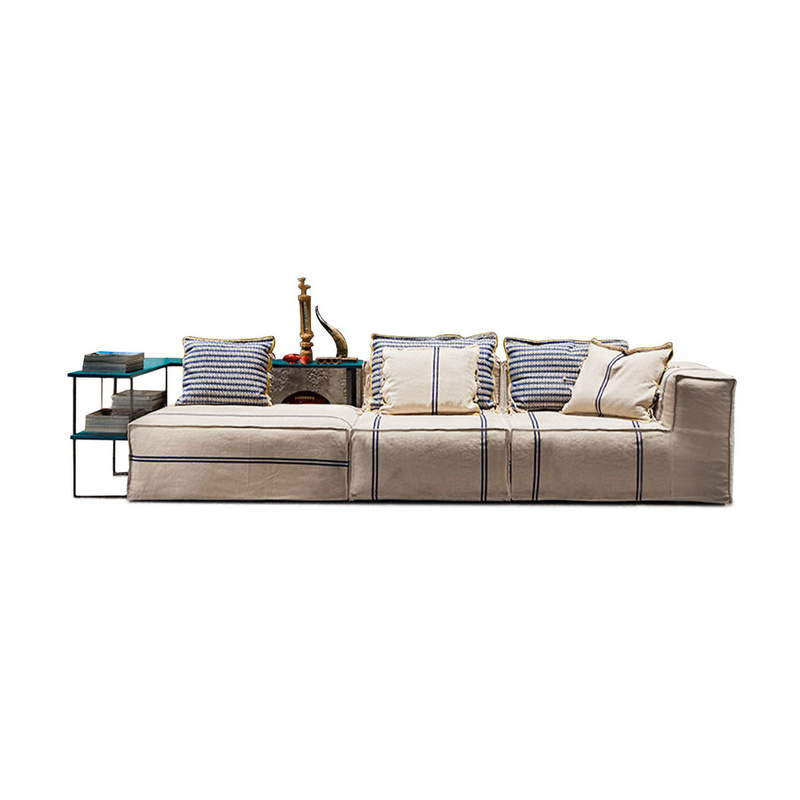 The Post Composition 4 sofa is a four-seater sofa, 330 cm long. It is composed of a one-armed chair, sized 70x100x100 cm, one chair sized 70x110x82 cm, an ottoman sized 40x110x82 cm and a shelving module sized 65x110x30 cm, enriched by 2 decorative cushions with down filling and 100% cotton cover, sized 50x50 cm. Its cover can be removed and washed at 40%. This designer sofa is made from a wooden flat bed, inner filling of polyurethane foam, and 4-cm ABS feet. The 100% cotton cover of this sofa is artisanally woven in Puglia (south of Italy) following traditional local patterns and techniques. Cushions are included. The shelving module has a steel structure and a hand-decorated MDF top (assembly materials included). Browse other sections to find online inspirations for your home. Giovanni Pesce is a designer and art director of a studio/creative lab. 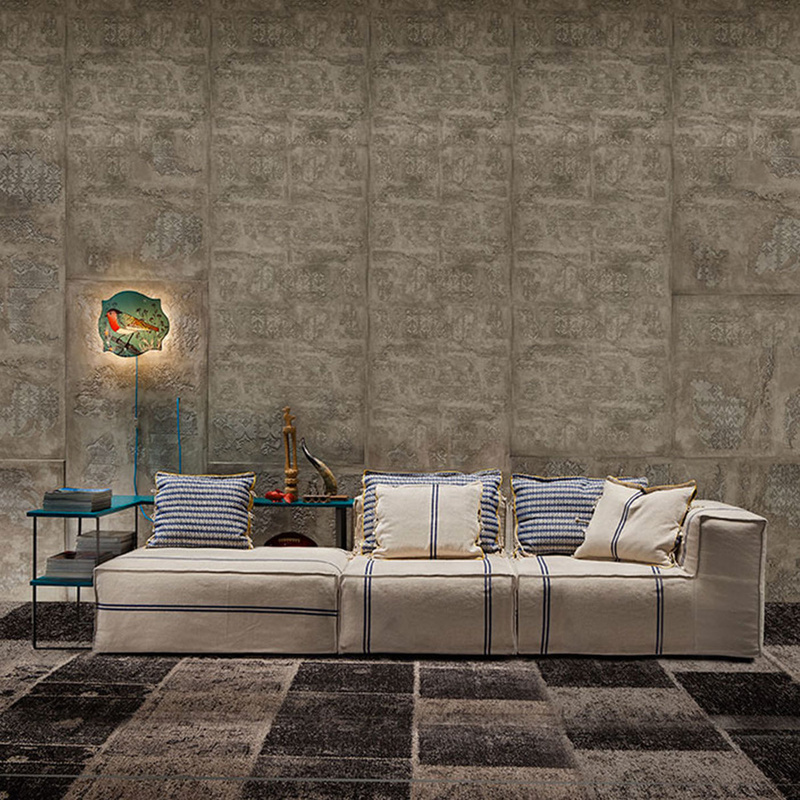 His works as an interior designer and product designer boast elegant shapes, new materials and a strong graphic sign. 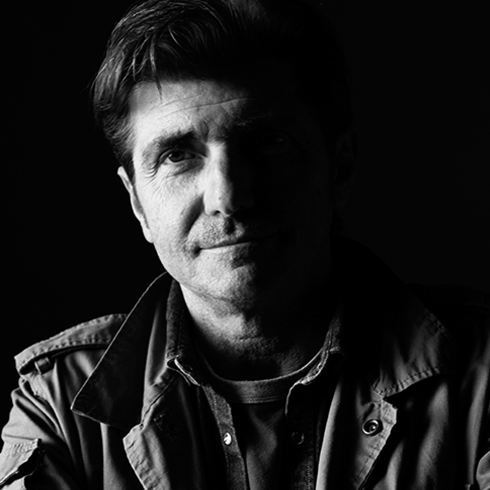 In 1994 he founded Signum, a work group dedicated to designing and making exhibition spaces. In 1997 he establishes a studio/creative lab focused on interior design and, subsequently, product design. His pieces have a clear, straightforward, subdued personality, and their beauty is closely tied to their functionality. Pesce's multifaceted interests lead him to explore graphic design and photography, so much so that he curates catalogues and brochures for several companies in the soft furniture field. His evolution leads him to broaden his team and become art director in a variety of projects for furniture companies. Over the years he has partnered with companies including Maiullari Srl - Cucine, Interni e Bagni, Musa Gruppo Industriale, Luxform, Polo Divani, Mito 1964, Centro Edile Quartarella, Imbar , Veronero Caffè, Monitillo Marmi, Wall&Decò. FishDesignMarket is a range of home accessories designed and fully self-produced by Giovanni Pesce. Each item is entirely handmade, drawing inspiration from the natural colours and shapes of the Puglia region, the 'heel' of Italy. As a result, these designs are charged with a strong visual power.